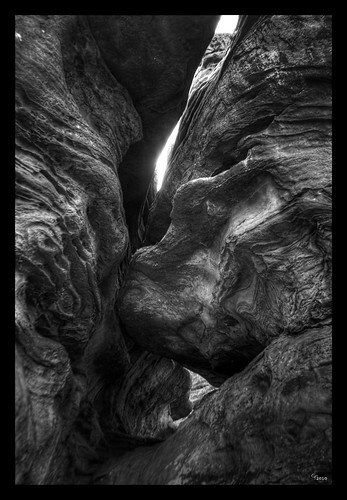 Peeking Through, originally uploaded by Thomas Gehrke. I recently took a bunch of photos at the Garden of the Gods in Shawnee National Forest in southern Illinois (not to be confused with the Garden of the Gods in Colorado). This picture was partially an experiment in some "non-obvious" HDR. I created it as a black and white image because I have a thing for interesting textures and nothing brings that out more than getting rid of those distracting colors (said the colorblind guy).